The Plex Manufacturing Cloud helps American Axle Manufacturing drive innovation on its shop floors, improving efficiencies with cloud ERP, streamlining processes and providing a single source of visibility. Through its partnership with Baker Tilly, AAM achieved a seamless go-live process, avoiding downtime for its high-output metal formed products division. Watch this video to find out more. The Plex cloud manufacturing model has allowed AAM’s Metal Forming Products Business Unit to retain a lean IT team. Because Plex is designed for manufacturers, AAM has experienced a 5% increase in manufacturing output. Plex allows AAM to analyze equipment efficiency and to determine the root cause of any downtime, using real-time information driving continuous improvements. With Plex's robust and integrated ERP system, AAM has seen an improvement in inventory turns of between 5-10% with a positive impact on cash flow. American Axle Manufacturing (AAM) is a multi-billion dollar, Tier 1 supplier to the automotive industry, with more than 30 locations, nearly 13,000 associates and more than 100 customers, including General Motors, Fiat Chrysler Automobiles, Ford Motor Company and Honda. AAM is a world leader in the manufacturing, engineering, design, and validation of driveline and drivetrain systems and related components and modules, chassis systems and metal-formed products for light trucks, sport utility vehicles, passenger cars, crossover vehicles, and commercial vehicles. AAM’s core brand values are to strive for operational excellence, quality, and technology leadership in the processes and systems it uses and the products it delivers. The organization comprises two main divisions: driveline and metal forming products business unit (MFPBU). The management team of MFPBU was finding it challenging to gain real insights into how the business was performing, how to drive quality, better plan capacity, and how to get a real-time understanding of its financial status. Each of MFPBU’s seven operations had its own ERP system, a partial ERP, or none at all. To gain the insight and understanding to run business more efficiently, MFPBU needed to consolidate operational data. AAM, Baker Tilly, and the Plex product team worked through a proven methodology to design, implement, and train users on Plex. This plan included implementing Plex in parallel with AAM’s corporate Oracle ERP system for enterprise-wide financial consolidation and performance management. Baker Tilly spent a number of weeks developing a common model of deployment that was unique to AAM. This allowed AAM to roll-out Plex across the seven metal forming locations in a standardized way, mitigate risk, and “go live” as rapidly and efficiently as possible. The team’s priority was to roll-out all Plex’s plant floor modules including engineering, quality, inventory, and production and then focus on the top floor modules such as accounting and supply chain. AAM was concerned that changing from multiple systems to Plex and introducing a new ERP, where there was none before, was a complex operation and could expose the business to a certain degree of risk. Furthermore, AAM’s metal forming unit is a high-revenue organization, whose customers would not tolerate downtime caused by a system failing to transition smoothly. One of the original business drivers for Plex was the need for a single view of the truth using real-time data. At a corporate level, AAM was using Oracle as its ERP system, so a key task for AAM and Baker Tilly was to ensure that operational data could be consolidated back into the company’s financial reporting system, Hyperion. “Now that Plex is live, we can send financial data once a month to AAM’s Hyperion financial reporting system to map and consolidate. We tested this process and at go-live we had absolutely no issues, which was rewarding.” Trathen concluded. When launch day came around it was a non-event, mainly because of all the testing and user training that had taken place. 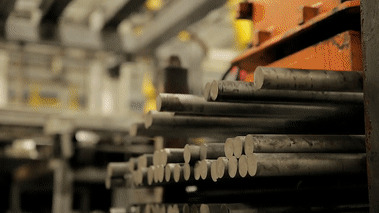 Once the shop floor processes were stable and embedded with users, the metal forming team turned its attention to corporate processes such as purchasing. Inventory Management: AAM has seen an improvement in inventory turns of between five to ten percent with a positive impact on cash flow. OEE and Manufacturing Output: Plex allows AAM to analyze equipment efficiency and to determine the root cause of any downtime, using real-time information driving continuous improvements. “For example, Plex is allowing us to measure velocity of flow so that we know how effectively our equipment is delivering our end products. I’m delighted to say that we have already experienced a five percent increase in manufacturing output,” states Trathen. Quality and Plant Efficiency: “Having quality deeply embedded into every production activity is transforming our organization,” Trathen said. “With Plex, quality checks are now completed at every stage, and the detail is exceptional. We’ve set the system up so that no one can move on to a new activity until the preceding quality check has been logged.” “Another example of how quality is transforming our business is when you look at the tracking of heat values. All our products start life as a raw steel bar that requires a certain heat value to form it into the final product. With Plex, we can trace these heat codes right through from the mill that produced the source material, to individual containers and items. This level of quality control is very important to our customers.” Trathen added. Compliance: AAM is obliged to comply with Sarbanes-Oxley regulations on security and role assignment. With Plex, operators can assign each person’s job role to a security group, evaluate any conflicts, and receive ideas on how to resolve them. Accurate segregation of duty reports can then be produced for audit purposes. The manufacturer is also required to show that each product has been assigned its appropriate tariff, which must all be harmonized in line with trade regulations. Plex now automates this process and the required reporting. Faster Problem Solving: The business unit is also very focused on improving scrappage, tooling, and maintenance. Trathen believes they have already reduced waste by some two percent partly because the type and quality of data Plex collects makes it easier to solve challenges. “The ease of data availability makes for faster and better problem solving. Data is input at the source and can be accessed by supervisors at any time on many devices with connection to the internet, so problems can be solved even when decision-makers aren’t on site.” said Trathen. Improved Business Planning and Decision Making: At the corporate level, data from Plex-managed processes is made available via EDI. Managers are then able to plan, forecast, and order materials in line with a 16-week window (a result of materials lead times). By understanding sales, materials orders, and job profitability while being able to forecast demand, the management team is better able to make and refine decisions based on real-time, accurate, and consolidated data. Competitive Advantage & Customer Satisfaction: “Customers of AAM, who know Plex, now have great peace of mind knowing that all our core processes are managed by such a robust and integrated system for manufacturers,” said Trathen. I’m delighted to say that the BSI auditors rate all our plants very highly, especially in terms of the way we manage our internal processes. IT Simplicity: The Plex cloud model has allowed AAM’s Metal Forming Products Business Unit to retain a lean IT team that does not have to assume responsibility for developing the functionality of ERP software, nor does it have to buy and manage expensive hardware. “By running Plex we can target our IT resources at helping users get maximum value from the system, rather than taking care of its administration,” said Trathen. AAM’s Plex implementation has been such a huge success that new projects are being planned for the future. These include deploying Plex to a new business venture, undertaking further PLC integration, and enhancing the unit’s purchasing and finance processes with Plex. Learn how to achieve manufacturing agility through strong links from the plant floor and ERP. Discover how to reap the benefits of a single ERP software solution. Experience end-to-end visibility and manufacturing agility delivered on a flexible cloud business model. Learn more about our industry-leading partners and our partner program.